For Residential or Commercial. Visit our gallery for inspiration. GraniteCrete is the ideal choice - it’s durable, permeable, and easy to install using the dry process. GraniteCrete™ offers a permeable paving solution for home or commercial application. Learn more about rebate programs for drought tolerant landscaping. GraniteCrete™ has the look of decomposed granite without the mess and is ADA compliant. GraniteCrete™ works where others fail. 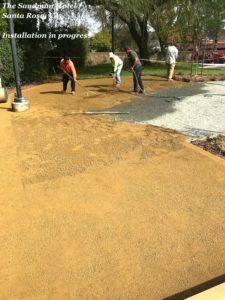 GraniteCrete paths and walkways have the look and feel of a crushed organic surface, but bear the near-strength and erosion control of professionally installed concrete. Our pathways are porous, allowing water to pass through at over an inch per hour. They also address storm-water and heat-island environmental concerns, yielding 13 points in three categories of the LEED rating system. Combined with your choice of four organic colors, GraniteCrete is the natural, permeable paving solution for your next landscaping project. Are you a homeowner who needs a sustainable, long-lasting surface for walkways, garden paths or a courtyard? GraniteCrete works for all of these purposes and is strong and lasting enough to be used for parking and driveways as well. Visit our gallery of residential installations for inspiration. Learn how GraniteCrete is perfect for your home! Ready to talk to an expert about how GraniteCrete™ can work for your landscape? Contact a representative. We will be happy to answer any questions you may have. Only contractors with extensive experience installing GraniteCrete earn our Certified Installer Badge. Look for this badge when choosing a contractor. Click here for a list of Certified Installers. Contractors: Interested in earning the Certified Installer badge from GraniteCrete™ ? Show your clients that you are an expert in the installation of GraniteCrete™. Become a GraniteCrete™ Certified Installer! Save time, labor, and effort—while improving the finished product! That’s what the new installation method—we call it Dry Installation—does for installers of GraniteCrete. 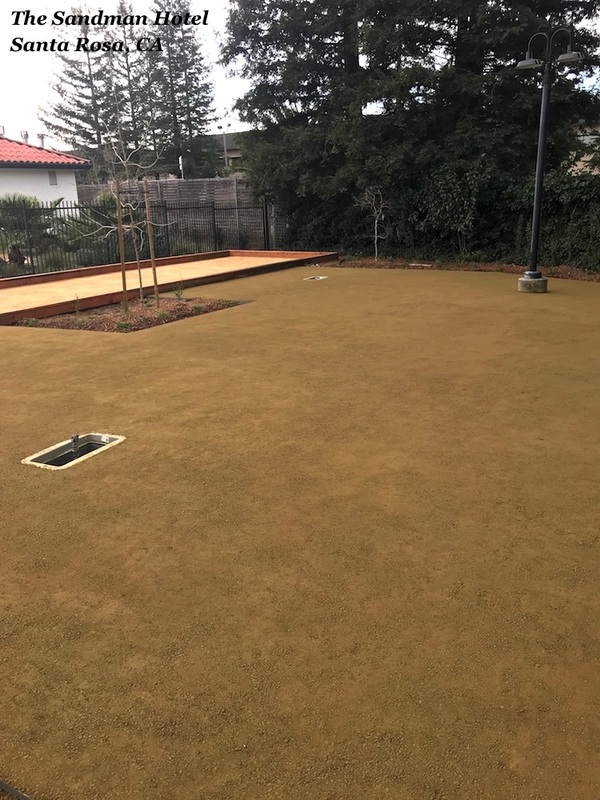 Introduced last summer, it has been met with rave reviews from installers, creating easier and even more beautiful installations of our permanent, permeable and natural paving material. These photos show a GraniteCrete installation in-progress (left) and finished (right) that was completed using pre-mixed material from SBI Materials. Photos courtesy of Joe Verdu and JLP Landscape Contracting, Inc.
Dry Installation mixes the decomposed granite and GraniteCrete admixture prior to installation. Installers can pre-mix at the job site, or—to save even more time, labor and effort—it can be pre-mixed at one of our pre-mix facilities before delivery to the jobsite. We recommend that jobs requiring 5 cubic yards of material or more should get the material pre-mixed, as this will shorten the installation process. Wondering how to find which retailer locations offer this service? It’s easy! Retailer locations offering this service are listed on our retailer locations page as a “Pre-mix Facility.” New pre-mix locations are added promptly to our website, so be sure to check back regularly! Interested in using a pre-mix facility for your next project? Contact our Senior Account Manager Dave Ventura via phone at (408) 858-9635 or via e-mail at davidv@granitecrete.com. The City of Palo Alto Storm Drain Utility is offering stormwater rebates to residents, businesses, and City departments. Install Porous Pavement and receive a rebate!